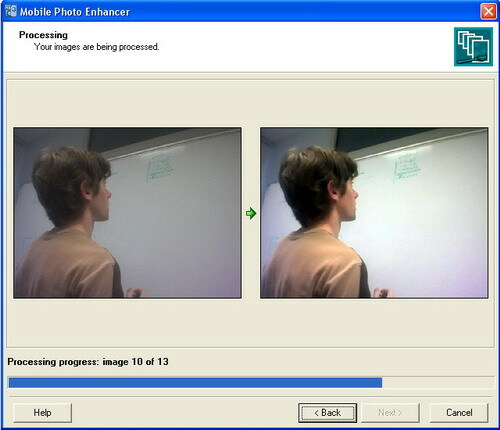 Mobile Photo Enhancer Quickly and easily improve the quality of photos taken with camera phones. O in short: Mobile Photo Enhancer provides a quick and easy way to improve the quality of your camera phone photos. It reduces Jpeg compression artifacts and digital noise corrects poor color and sharpness and fixes the dark corners problem. See above information and user's reviews about Mobile Photo Enhancer Quickly and easily improve the quality of photos taken with camera phones.